Please select an option Aqua Black Burgundy Chocolate Cream Gold Gray Purple Navy Sage Taupe White Ivory Light gray Please select a color. Please select an option Calking Full King Queen Twin Twin xl Please select a Size. Bamboo Soft 4-Piece sheet set is designed for unbeatable comfort and quality. 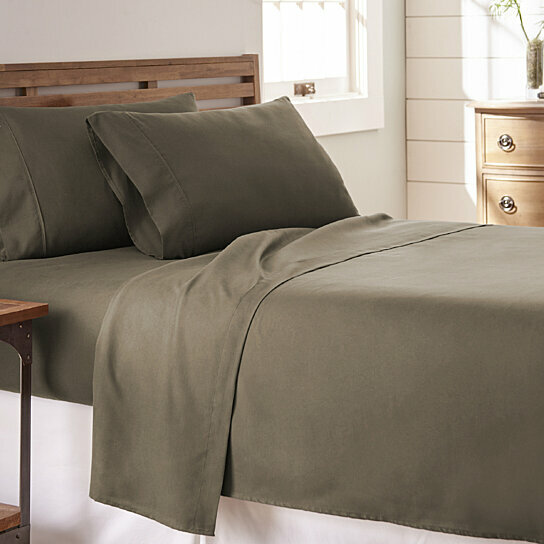 Odor and allergy resistant and made of the finest environmentally sustainable materials, these sheets offer the ultimate in luxury and buttery softness. This 4-piece sheet set will turn your bedroom into an opulent retreat, keeping you comfortable all night long with superior moisture-wicking properties for superior temperature control. Softer than 1,000 thread-count cotton, silk or cashmere at 1/3 the cost, you will absolutely love these soft, silky sheets for every season.